In this post , we are going to create simple ListView. ListView is the view in which you arrange your list items in vertical order. It is very popular widget which is used almost in every application. In this post, I am going to create a very simple list view . 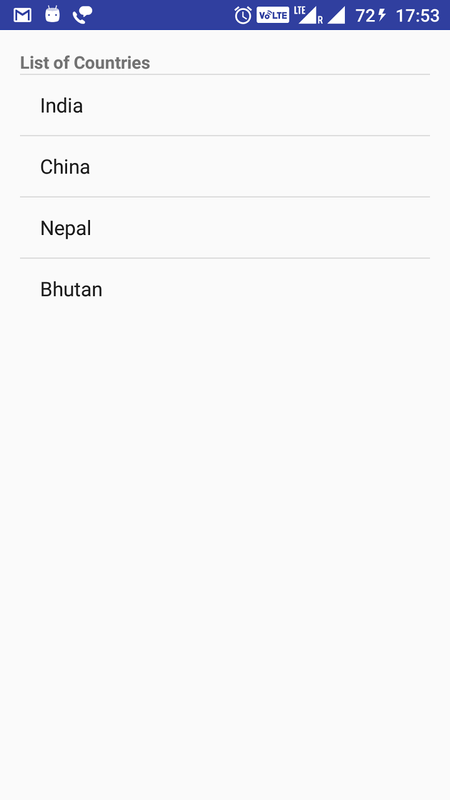 If you want to create a some what complex Listview which have images and text in same row , you can go through Android Custom ListView example. Create an android application project named “AndroidListViewExampleApp”. If you notice closely, our MainActivity extends ListActivity as ListActivity has some method specifically for ListView. Whenever we create ListView, we need to provide ArrayAdapter which sets view for each row and also we need to provide a file which defines layout of each Row. In this example, we are using android.R.layout.simple_list_item_1 which is android’s predefined layout file . 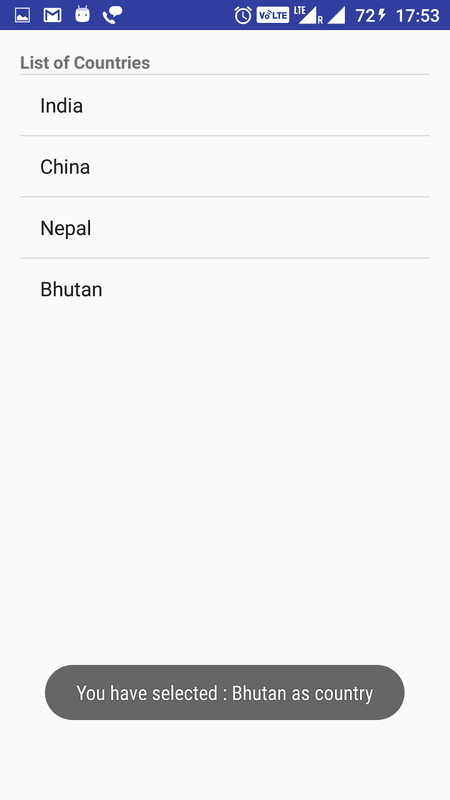 We are done with Android Simple ListView example.